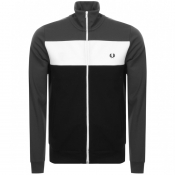 Your ideal Fred Perry jumper or zip top is available here at Mainline Menswear, whether you’re looking for a practical full zip fastening hoodie or a luxurious cotton and wool knit jumper we have the stock to suit you. A wide range of comfy Fred Perry sweatshirts are available online in classic navy, white and black featuring crew necklines, a fleecy or loopback design to the interior and of course the bold signature embroidered Laurel Wreath logo. We also stock a selection of luxurious knitted Fred Perry jumpers, perfect for keeping you warm yet stylish in the cooler seasons. 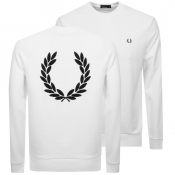 Wool knit Fred Perry cardigans and casual full zip fastening Fred Perry hoodies are also a common feature online at Mainline Menswear, making the Fred Perry range perfect for any occasion.